1) How to stay in the sweet shop as long as possible, stifling their rustling and their chuckles hoping no-one will hear them. 2) How to take as many sugary delights with them when they are eventually ejected. 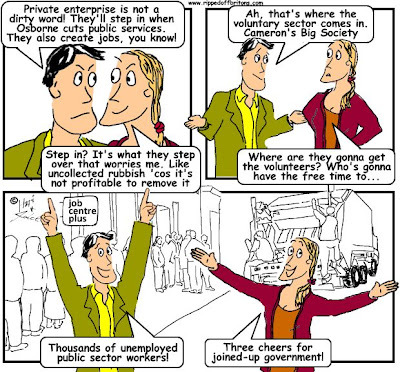 The sugary delights in question being the lucrative transfer of public services to the private sector. 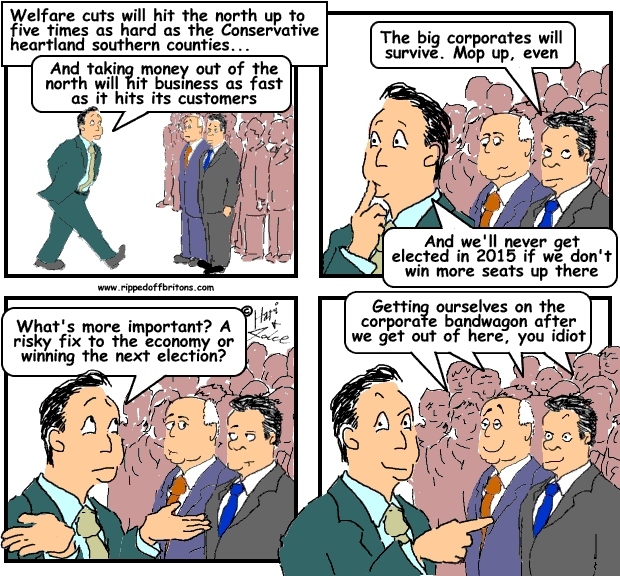 It is not that the time for privatisation and outsourcing is getting short. Labour governments of recent years were hardly any less enthusiastic under the cover of PFI (Private Finance Initiatives). It is just a question of which political party has its hands on the ladle when the deals are doled out. With further privatisations and outsourcing likely to be fast-tracked - including the sale of Royal Mail and the sale of government stakes in the banks RBS and Lloyds, as well as various outsourcing contracts - we take a closer look at a little reported skirmish in Parliament in April 2013. 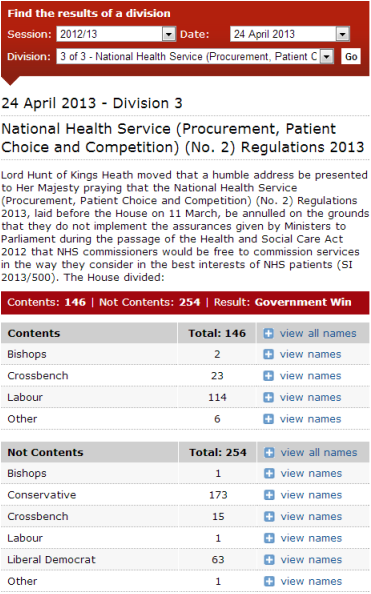 These notes relate to the Regulations made under sections 75 to 77 of the Health and Social Care Act 2012. They have been prepared by the Department of Health in order to assist the reader of the Regulations and help inform any debate. These notes should be read in conjunction with the Regulations themselves. Where a regulation does not seem to require any explanation or comment, none is given. 3(2)..treat providers equally and in a non-discriminatory way, including by not treating a provider, or type of provider, more favourably than any other provider, in particular on the basis of ownership. Now we know from his time as Culture Secretary that the current Health Secretary, Jeremy Hunt, has particularly liberal views in terms of the type of owners he is pleased to deal with. (b) the criteria against which any bids for the contract will be evaluated. 5 (1) A relevant body may award a new contract for the provision of health care services for the purposes of the NHS to a single provider without advertising an intention to seek offers from providers in relation to that contract where the relevant body is satisfied that the services to which the contract relates are capable of being provided only by that provider. So, it is left to the commissioners' discretion whether to award a contract to a favoured provider without advertising it for other potential providers to tender. (ii) new terms and conditions drafted by the Board under that regulation. Apparently contracts can be awarded under an open tender and then the terms & conditions can be changed without re-opening the tender. Now, we wonder if that is open to abuse? 6(1) A relevant body must not award a contract for the provision of health care services for the purposes of the NHS where conflicts, or potential conflicts, between the interests involved in commissioning such services and the interests involved in providing them affect, or appear to affect, the integrity of the award of that contract. So the interests of sundry friends and their friends and relatives and partners and ancestors' next door neighbours are not mentioned here. All contracts must be put out to tender, except when the commissioners want to give the contract to a specific supplier in which case they don't need to put it out to tender after all. Contract terms can be changed after the contract is awarded, without regarding it as a 'new contract' with the scrutiny that would require. Conflicts of interest are tightly defined as members and employees of the commissioning bodies. The interests of chums and chums of chums are overlooked. Commissioners are specifically not allowed to reject suppliers who claim to be able to meet the "criteria established by the relevant body for the purposes of that decision". So no consideration is allowed to be made of the supplier's reputation and past history, and political affiliations. A proposal was moved in the Lords to block this law. The proposal was defeated: the results on the right show how the parties voted. One can't blame the Tories for backing this law. It is in their nature just as it is in the nature of a scorpion to sting. However it is more difficult to understand the support of the Liberal Democrats whose votes would have blocked this change in procurement regulations. Regulations that the British Medical Association oppose. We assume removing the right to refuse to deal with dodgy companies, as legislated above, will become the template for future outsourcing and privatisations. With reports that 3 peers were caught out accepting money to influence parliament, were peers just doing what they are paid to do? 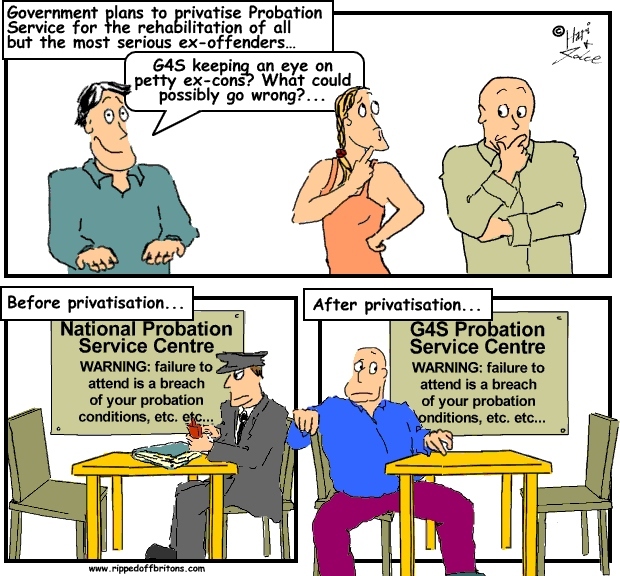 Not only in the NHS, but the whole contracting arena in Britain is FILTHY. From Local Councils' PREFERRED LISTS to the Building industry BLACK LISTS, ALL are corrupt systems designed to benefit the BIG Boys, the chums and the CRONIES of the ESTABLISHMENT- or the THIEVES in short. BBC Reports "Almost 70% of contracts for NHS services in England between April-December 2013 were won by private firms, a campaign group claims." Remember quote:'Three words N H S'! Not in tory or lib dem manifesto & not in opposition manifesto! The only reaction to this is STAY HEALTHY and dont put your life at risk in hospital until safe medical staff hav been put in place , hopefully by LABOUR? ?